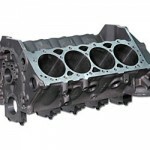 Dart manufactures some of the finest high performance engine blocks that money can buy. If it’s racing, hot rodding, marine performance or just putting a power plant in your street car, Dart and strokerkits has what you need to make serious horsepower. Dart components are developed in-house, manufactured on Dart’s own CNC machining centers, and tested on Dart’s computer-controlled engine dyno. Today Dart is the acknowledged leader in producing race-winning components.